I am huge microwave fan. I think I use that more than the oven or stove. The issue though is no matter how much I try, food gets all over the place when heating up my meals. 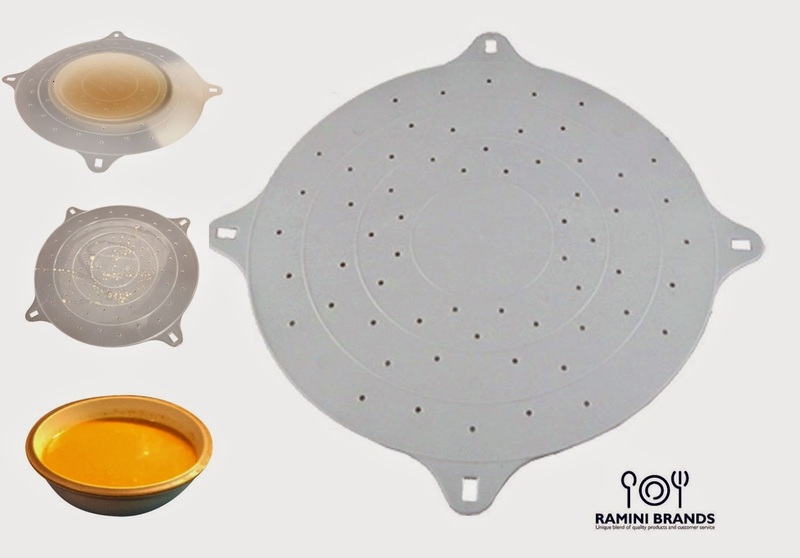 So when I was given the opportunity to test out Ramini Brands Microwave Splatter Cover I was thrilled. This cover has steam release holes so you food vents while heating up. It fits perfectly over dishes, bowls and cups. You can even use it over a paper plate. It measures 10" X 12". You can use this as a cover if you are barbecuing and want to keep your food safe from bugs. It's extremely easy to clean. You also receive an ebook of great microwave recipes with your order. This is definitely a must have for anyone who microwaves. I highly recommend this product.